You are here: Home / Groove Inc / Lunatic Alice Queen Pullip: She Wants Your Head! 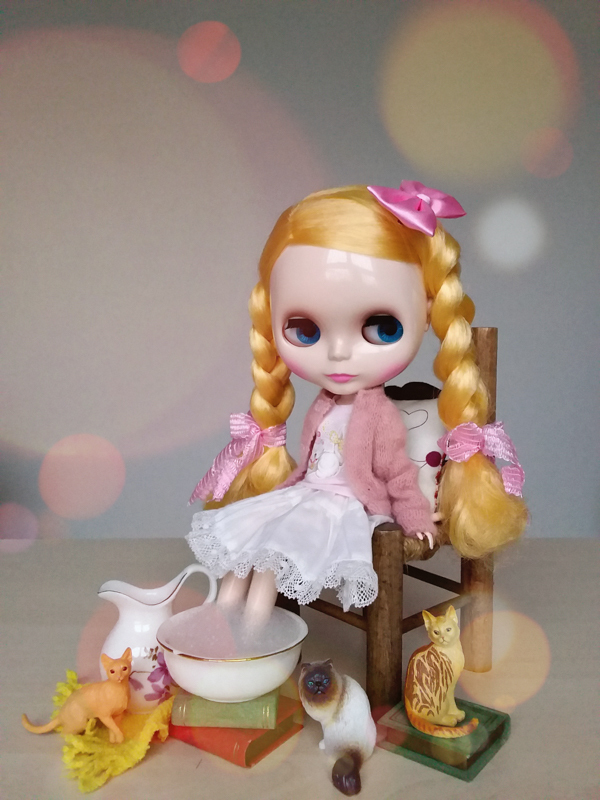 Lunatic Alice Queen Pullip: She Wants Your Head! 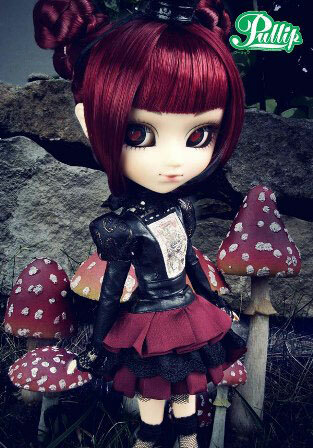 Inspired by the timeless tale of Alice in Wonderland and the Queen of Hearts figure, Groove Inc. gives us the Pullip Lunatic Alice Queen Doll. The Queen stands 12 inches tall and has Bordeaux red colored hair which she has styled into two little buns. Planted in between the buns is her black monarch crown. 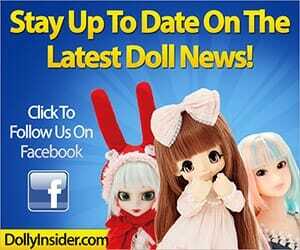 One of the amazing features of this dolls are their lovely eyes. 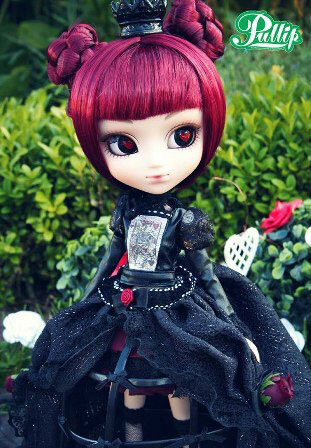 This doll in particular has fierce red-hearts inside her eyes. If you can somehow manage to tear yourself away from her gaze you will discover that she has a superior grin across her face. Undoubtedly, she’s thinking about the next person to behead! She is not your normal vibrant gown sporting Queen. No, our Queen chooses to dress in an all black Goth-Victorian outfit. 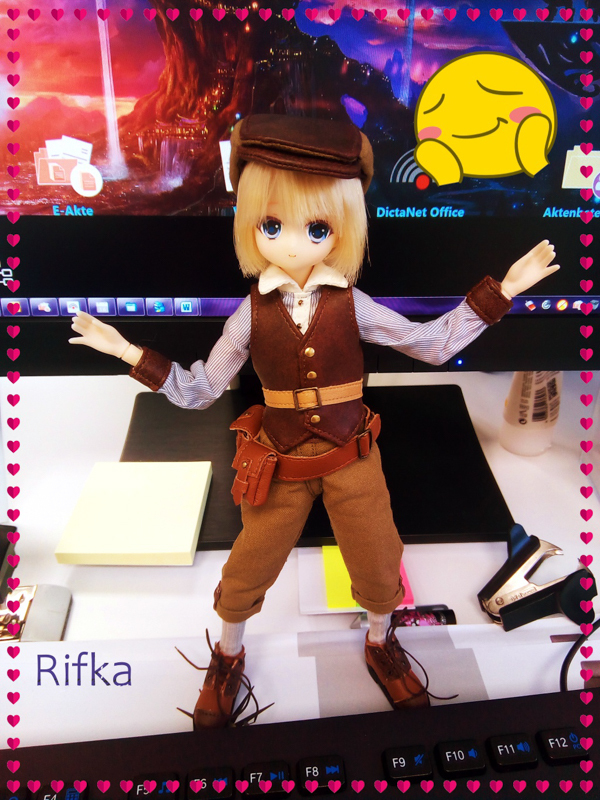 Her outfit consists of two parts. The uppermost section includes a extended sleeved blouse, constructed out of sinister ebony leather and lace material and fixed in the center is an image of the Queen of Hearts playing card. The lower part of her wardrobe contains a long flowing black skirt with flower details on it and beneath you will locate a crinoline which gives her skirt that strong lovely design. Though, when she demands, you can safely remove her crinoline and black skirt to reveal an even cuter red and black mini-skirt. The alternate skirts make it possible for her to be an ultra Queen during the morning and an even feistier one at nighttime! On her lower limbs and toes she’s dressed in a pair of black knee high socks and adorable matching black pumps. You shouldn't get on the awful side of her. Put her into your collection right away. That's a immediate order from the Queen!